This small app combines some of the other bits of code here to give you a tool to dynamically embed patchs into compiled apps. 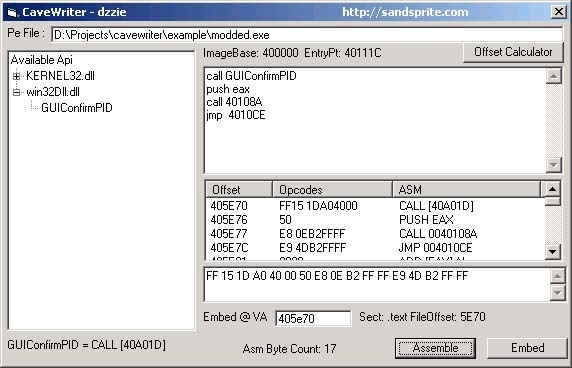 Dynamically disassembles target address and can Assemble patch instructions directly for target offset including the ability to call api's directly from the apps import table by name. Comes with a quick example taken from the add function paper i wrote.